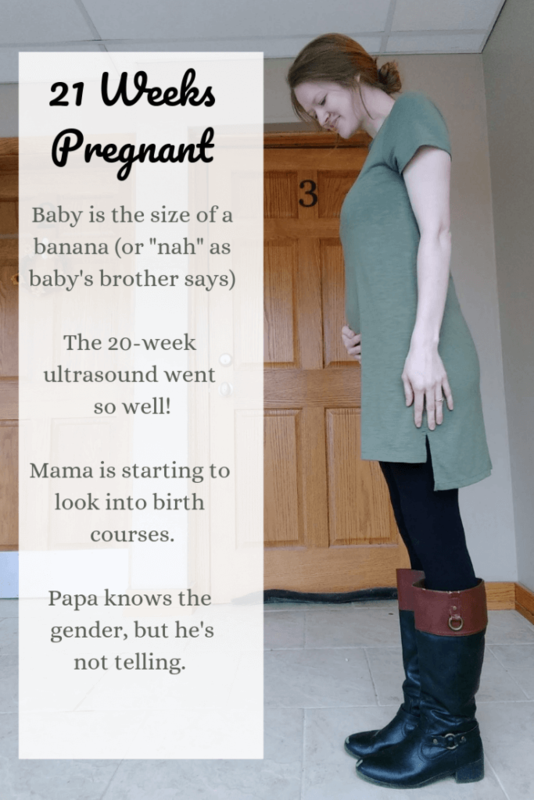 You are here: Home / Life / 21 Week Bumpdate for Baby #2 + New Ultrasound Pics! 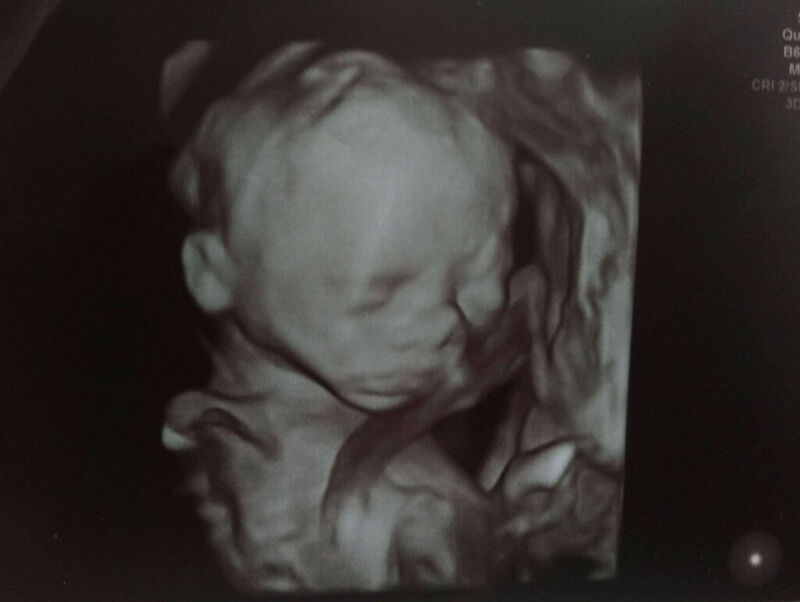 We just got back from our 20-week ultrasound, and I have to say that I have never had a happier prenatal appointment!! 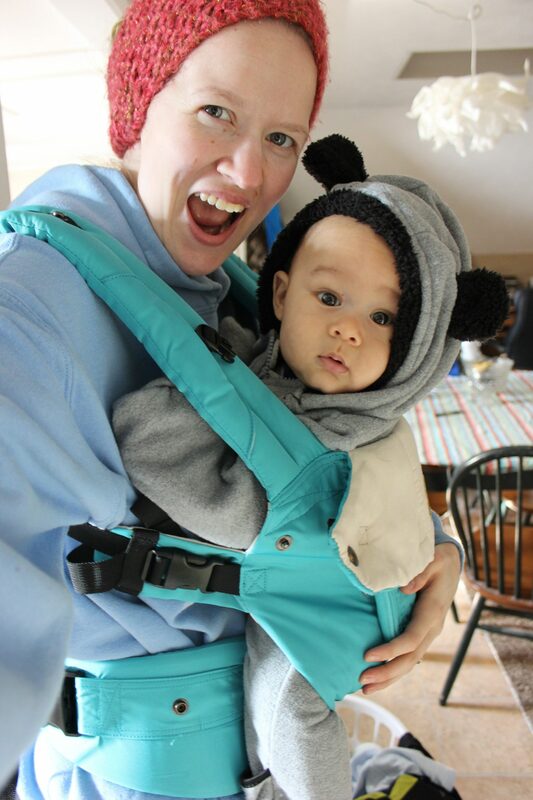 My first pregnancy was high-risk: at Gideon’s 22-week ultrasound we first found out that I had a condition called placenta previa that eventually resulted in an unwanted (yet medically necessary) caesarian birth. Throughout my first pregnancy whenever I was feeling sad and overwhelmed by all the risks/concerns, my providers–from my midwives to even the surgeon that did my c-section–encouraged me that it didn’t have to be this way for my next pregnancy. They all told me I’d be a great candidate for a VBAC, and to keep my chin up. Even before we got pregnant I researched my risks of having placenta previa a second time (less than 5% chance), and prayed up a storm that my placenta would attach HIGH up on my uterine wall. When we found out I was pregnant, I felt so worried, because I knew I wouldn’t know for sure the placement of my placenta until 20 weeks (they can’t make an assured diagnoses before then). 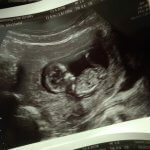 All that to say, I have been anxious about this ultrasound for a long time. I am so grateful that God heard my prayers, and my placenta is actually where it should be! Huzzah! And baby looks incredibly healthy with no issues. Phew! I have refused to do any sort of labor and delivery prep until I saw this ultrasound. I didn’t want to get my hopes up, or get them dashed again. But now, I have the green light to jump into the stack of books about birth I’ve been saving since my first pregnancy!! I will thoroughly enjoy the first pregnancy I’ve yet to experience that doesn’t involve restrictions! I can run! I can take out my trash! I can lift my toddler! 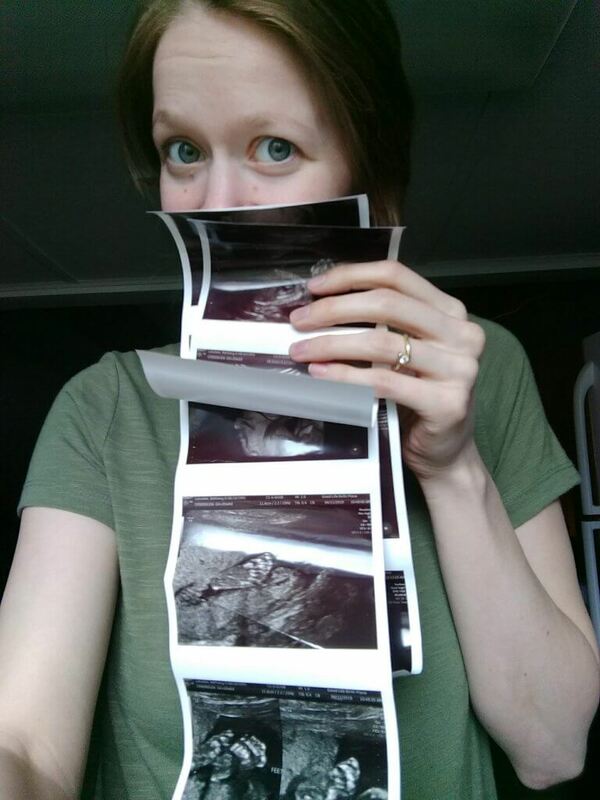 I am thrilled to experience a normal pregnancy for the first time. Thank you God. I saw a midwife with Gideon, but our personalities didn’t mesh. I know several women who saw her, and loved her–but for whatever reason I didn’t enjoy my appointments with her. She just magnified my fear, didn’t listen to me, and I cried after every appointment. I did a TON of research before getting pregnant this go round, and I narrowed it down to three providers. All of them were an hour drive away, but I knew it would be worth it to find someone who would champion me and my VBAC. I interviewed the birth center midwives, and chose them based on their very open policies regarding VBACs (most providers want you to go into spontaneous labor by 40 or 41 weeks, and these midwives have no qualms about you going the full 42 weeks without intervention). At my second appointment, I met the midwife of my dreams. I love her so much. She, herself, has had two VBACs (after two c-sections), and she is my VBAC guru. 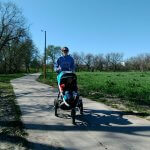 She is incredibly encouraging, and empowering telling me that I am young, healthy, and totally able to VBAC. I asked her this week what I should be doing right now to prepare for birth and she told me to work on my mind, on positive affirmations. She said not to focus on things like “I don’t want another c-section” and instead focus on positive things like “my baby is healthy, I am healthy, my body is capable of birth, everything is going as it should be”. She’s the best. Totally worth the drive, and stress of all the research to find someone who I trust, and buoys my spirits. Gender: Saia now knows the gender, and we have it written (with an ultrasound to prove it) and sealed in an envelope. I have no idea. I honestly don’t even feel tempted to look at the envelope, because I truly don’t want to know. Saia already slipped twice–and mentioned a gender–but then he is so good at misdirection that I am not sure if he is doing it on purpose to mess with my mind, or not. When we were dating, he convinced me that he intended to get all his teeth pulled and replaced with dentures over Christmas break. I was absolutely horrified, and spent a long time trying to convince him not to go that route “even if it is what everyone in your family has done for centuries”. Eventually, he burst out laughing at me. He loves a practical joke, and he is very good at pulling something like that off. He should have been the Theatre major. So I can’t be sure if he’s really slipping up or if he’s just messing with me. 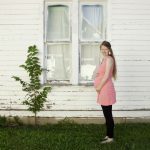 Before the ultrasound, I felt like baby was a boy, because this pregnancy has been pretty similar to Gideon’s. But the ultrasound pics don’t really look like Gideon’s, to me, and they look more feminine? So now I am thinking girl. We have a first name for a girl picked out, and I LOVE it. But absolutely no inkling what to name a baby boy. Boy names are so hard for me. I have been spending a lot of time on Sancta Nomina’s blog (a blog completely devoted to naming babies), but nothing has sparked yet. I make a list of boy names, and then I just cross them all off, because I don’t like any of them. Sigh. I would love to have another baby boy. I’ve definitely had some strange feelings about a second boy, just because I love Gideon SO much, and it is hard to imagine loving another boy as much!! But lately, I’ve been imagining two little boys racing around, and I love that idea. I would, also, love to have a baby girl. Everything would be new, and pink! I’d have to buy new clothes (since these babies are almost exactly two years apart I have all the boys clothes, in the correct seasons, covered), but I’ll probably pick up a few girl things this summer just in case. Purchases I’ve made/what I’m dejunking: Saia lost his truck keys this week (which we still have yet to find) which spurred me into action in terms of cleaning and dejunking. We spent a whole Sunday afternoon completely deep cleaning and dejunking just the kitchen. From there, we moved to the living room and we are now tackling the bedroom. The fact that we will be moving in a few months is also making me want to get rid of everything not nailed down. It’s so fun to be home, and have the energy to actually accomplish some of my to-dos! How are you feeling? Feeling pretty good, most days. I still have major headaches/migraines maybe once or twice a week. I told my midwife about them, and she suggested I go to an acupuncturist. She gave me the lady’s card, and the rates are incredibly reasonable! So I think I will make an appointment and try that out. I’m already going to the chiropractor (albeit not as often as I should), increasing my water intake, and trying to eat more protein. 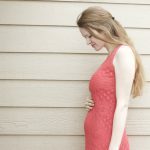 Maternity clothes: I’m LOVING wearing stretchy t-shirt dresses and leggings this go round. They are so comfortable, and make me feel pulled together. I finally realized that I was filling my closet with uncomfortable structured dresses when what I really want are stretchy, soft dresses. Since coming to that realization, I’ve gotten rid of a whole slew of dresses, and added three t-shirt dresses that I’ve been wearing on repeat. Best moment this week: The 20 week ultrasound. So thankful. Cravings: Still eating a lot of homemade granola. Symptoms: headaches, strong sense of smell, food aversions, occasional ligament pain. Looking forward to: an active summer!! Gideon and I will be going on lots of long walks together. And, for comparison, here is my 21 Week Bumpdate with Gideon!